A few days ago, my kids and I broke away from dinner time clean-up to take an evening walk. One of the most refreshing times for me as a mom is to head a couple blocks south of our home and watch the sun set in the wide-open fields. A dirt road leads to the land and as you come to the end of it a yellow traffic sign meets you with a bold black arrow pointing to the left and one to the right. As my kids made their way to the sign and the bursts of pink, orange, and blue colors in the sky hung in the backdrop, I thought about how much they’re growing up. Just the other night I began to share with my almost ten-year-old son how as he grows older he’ll begin to see more of the ugly that’s in our world – hatred and murder to name a few. We had a serious conversation and will continue that dialogue. 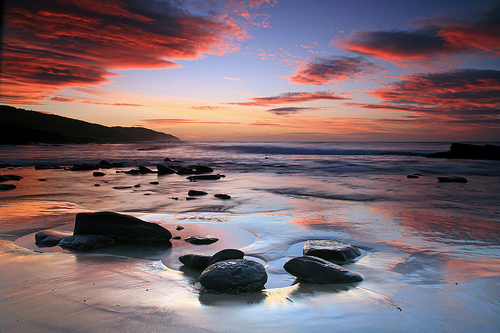 The wise person has his eyes in his head, but the fool walks in darkness (Ecclesiastes 2:14). The way of a fool is right in his own eyes, but a wise man listens to advice (Proverbs 12:15). The wise will inherit honor, but fools get disgrace (Proverbs 3: 35). And everyone who hears these words of mine and does not do them will be like a foolish man who built his house on the sand (Matthew 7:26). The words of a wise man’s mouth win him favor, but the lips of a fool consume him (Ecclesiastes 10:12). We want our kids to be wise and not foolish. No one wants to be a fool, yet many times the roads that we take are in fact that very nature as we can be easily deceived. As moms we have the wonderful privilege and opportunity to pray for these crossroads in our children’s lives. In fact, I’ll go as far as to say it’s our joyful duty. If we don’t pray for the overall trajectory of their lives, who will? Pray that God will soften your child’s heart toward his Word and commands. Pray that when your child is faced with temptation, that he/she will remember his word and act on it. Pray that your child will know and feel the love of Jesus, no matter how he/she behaves. Pray that in each new season of life, God will bring positive role models and friends to your child that will build him/her up to be a better person. Pray for your own relationship with your child to be one of unconditional love, acceptance, joy, selflessness, and trust. Pray that God will lead your family to a gospel-centered church where your child can grow in the love and nurture of the Lord around strong believers who love Jesus. Pray for discernment and wisdom in how to raise, discipline, and provide boundaries for your child. Pray that God would show you what your child needs in the appropriate situation and for His will to be done. Pray that your child will have a thirst and desire for the Lord – to walk in the Spirit and not the constant pull of the flesh. Pray for your child to have respect for their authority and to be a blessing to their classmates and teachers. We can’t underestimate how powerful our prayers are. God desires that we come to his throne of grace as moms—all the time! The truth is we all need his grace in some way, shape, or form. We can’t undervalue the importance of being specific in our prayers and believing that God will answer them. As your children continue to face new crossroads as they grow up, may they know and feel your love and care for them because you want the absolute best for them – not pain and harm – so they’ll live long, prosperous, and blessed lives in the love and fear of the Lord. When they’re adults, may they rise up and call you blessed as their Mama (Prov. 31:28). May they know that your prayers were a huge reason why they chose the road of wisdom and not foolishness. This entry was posted in marriage & family and tagged children, choices, decisions, family, foolishness, Kirk Cameron, proverbs, wisdom. Strangely enough, this is how I picture the urgency that is invoked in these verses. If the writer could literally shout out from the pages of Proverbs into our hearts, he most certainly would want us to see the need for wisdom in our lives. Discarding wisdom could cost your whole life. There is a necessity to cry out to God for wisdom because wisdom is not from people, but from God. We cannot discern wisdom in our own strength. God says to ask for wisdom without doubting and you’ll receive it generously. Are you applying wisdom to your heart and embracing it with all you have? Keep along the path of wisdom, and your life will continue to abound in fruit. Keep along the path of foolishness and your life will be destructive. This devotional was published in Collegiate Magazine, January 2006-07 issue, pg. 15 © Samantha Krieger. All Rights Reserved. This entry was posted in devotional and tagged christian devotionals, Collegiate Magazine, faith, foolishness, life, LifeWay, online devotionals, proverbs, wisdom. How it feels to finally be Debt Free! I’ll have to take you back to the beginning in 2008 when my mom encouraged made a deal with Jeremiah and I that if we took Dave Ramsey’s Financial Peace University for 12 weeks that she and my dad would help pay for Jeremiah’s seminary education. We knew she was serious and who wouldn’t take up that kind of offer? So, we enrolled in the class at a local church with $45,000 in Debt– credit cards, student loans, 2 car payments, and more. During our first class, we found out that our debt surprisingly lined up with the average American’s debt. Throughout each week, Dave Ramsey’s principles blew our mind. We started to see where we had been foolish and honestly hadn’t been living by God’s word in the area of finances. We started with the lowest amount of debt first and worked our way up. We cut up our credit cards (scary but it felt great! ), Put $1,000 in our emergency fund as Dave says to do and starting building our savings. Most importantly, we got on a budget/spending plan. Even though we failed at it at times (and still do), we had a target to shoot for and we finally had control of our finances, rather than our finances controlling us. We ate out less, didn’t really buy clothes, had a grocery limit, sold stuff, held garage sells, sold a car, didn’t buy unnecessary stuff and before we knew it, we were chipping away at our debt incredibly fast. We even had a baby and didn’t go into debt doing it because we saved, saved, saved! Now two years later, we are proud to say that we are DEBT FREE! The feeling is surreal still because for so long we weren’t truly free in that area and it impacted our marriage. But now we are and it’s our desire to encourage others out there who feel like it’s impossible. So many people encouraged us along the way and most importantly, God gave us the grace we needed to persevere and follow his plan. I wrote a few posts a while back about our journey here and here and here and several more under the Finance category on this blog if you’d like to check those out. While we’ve actually been debt free for about 3 months now, I can say that managing finances will always be a battle and we will never arrive, but I’m so thankful that our eyes have been opened and that above all, we are learning to better steward what we’ve been given because all that we have is a gift from God in the first place. Thank you for sharing in our joy today! This entry was posted in finances and tagged $45, 000 in debt, american debt, biblical principles, Dave Ramsey, debt, debt free, economy, family, finances, Financial Peace University, life, marriage, people, recession, wisdom. 1.) Spend more than 20 minutes in the Word daily. 2.) Exercise intensely 3 or more times a week for one hour. 3.) Write book proposal by July 23, then begin process of sending to agents. 4.) Pray for my husband and son daily for God’s will in their life. 5.) And… go see Avatar this week because everybody else is doing it! “Let not steadfast love and faithfulness forsake you; bind them around your neck, write them on the tablet of your heart” (Prov. 3:3). I want my life to be marked by these two things in my relationship with Jesus and to others. And I sense the urgency in this verse to protect these things by binding them around my neck and writing them on my heart. I think God is really saying something to all of us here. Perhaps that this wisdom can be easily lost and forgotten. I know people who have lost their love and faithfulness to God and it scares me because I’ve seen the devastation of what it can do. I too, have had times where my love for God is not as vast as the ocean like His love is for me. And it’s evident in how I treat others. I definitely want success in my goals for this year. I think we all do. But more importantly, I want the success that comes from loving God and loving His Word. What about you- Is there anything you really want in your life for 2010? This entry was posted in devotional, Jesus & faith and tagged avatar, exercising, faithfulness, goals, God, God's word, health, life, Love, new year's resolutions, nutrition, people, Prov. 3:3-4, religion, success, wisdom. 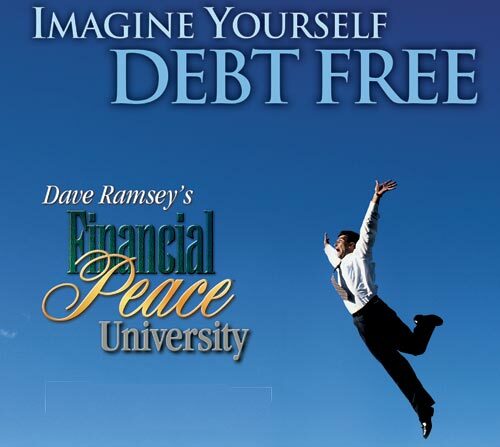 Jeremiah and I just graduated from Financial Peace University, Dave Ramsey’s 12 week financial course. Our lives have been changed forever from the course. Everything he speaks on regarding finances is so contrary to our culture today. Saving is a word people hate because it requires discipline and thinking ahead rather than just spending whatever in the here and now. As a gradudate of the course, I feel it’s my duty to let others know how greatly it has impacted our life, marriage, peace, future, etc. We have paid off $8,000 in credit card debt in 12 weeks and we are on the road to becoming debt free by Christmas 2008 (including car payment and student loans). In February, we found a little one is on the way. 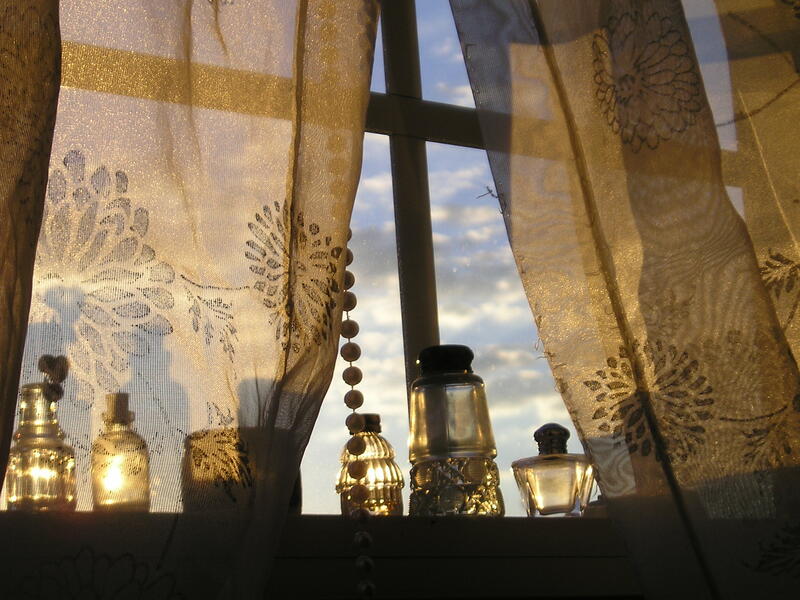 We feel so much peace towards that knowing that we’re on the path toward wisdom now, and not foolishness. We will be able to teach our baby that one day too. We have (for the first time ever) our $1,000 emergency fund and we’re continuing to build 3-6 months of income towards savings. 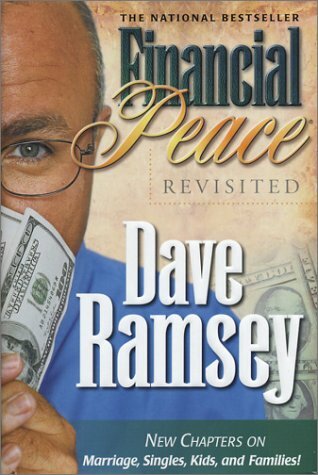 This entry was posted in finances and tagged Dave Ramsey, debt, finances, Financial Peace University, freedom, peace, savings, wisdom.